Our year started in March when I was duly elected as Chairman. David Greensit was voted into my ‘old job’ as Vice Chairman. Thanks must be due to Brian Wise our previous Chairman for all his hard work on behalf of the Club. Unfortunately at the start of the year we were informed of the death of one of our members Keith Sanderson. Our deepest sympathy goes out to his family. Once again our club was well represented at Carlisle show and sale with Ian and Margaret Steele scooping reserve overall and female champion with ‘Blakewell Pandora’s Virginia’ along with reserve female honours going to ‘Blakewell Judith’s Valerie’ both later selling for 2,000gns. Peter and Caroline Goldsbrough were also in the ribbons with two sons of their renowned herd sire Milnafua Keystone selling for 2000gns and 1900gns. One of our newest members Stuart Earnshaw secured the supreme champion for his Thorntree herd at Wakefield. Thirsk sale seems to be going well and this year was no exception as vendors found trade very buoyant with the overall champion and top priced animal ‘Scarthingwell Alaska’ being knocked down to K & E Deacon of Yarm for 2950gns. Reserve champion and top priced female going to Gerald Towers with ‘Tidkin Walnut’ and her heifer calf at foot selling for 1700gns to Pedigree breeders J R Holliday Penrith. This goes to prove there is still a strong demand for Simmental cattle in our area. The next event in our calendar was the Great Yorkshire Show incorporating the Simmental National Show. Thankfully our Yorkshire weather managed to behave itself on the Tuesday and coupled with the tremendous entry of cattle the classes were a sight to behold. The ringside was packed solid with breeders, members and public alike. Congratulations to our members Peter and Caroline Goldsbrough and Ian and Margaret Steele whose cattle were awarded 1st and 4th respectively. A big thank you to the many exhibitors who made the long journey to Harrogate. Top spot went to Boddington estates with ‘Sterling Dolores Petra’. In reserve was ‘Annick Vesuvius’ from Les and Norma Pennington. Many thanks to all members who gave up their time to help in any way ensuring everything went smoothly. Also a big thank you to everyone who staffed and provided refreshments in the hospitality box as this was greatly appreciated. Our final thank you must go to our Club and Council member Brian Wise and his wife Anne who worked tirelessly both before and throughout the duration of the show making sure everything fell into place. 2010 saw the re-launch of the North East Club website. This includes the latest news and photographs. Why not visit the site at www.simmental.org. Many thanks must go to our resident computer guru and official club photographer Gerald Towers who has been instrumental in getting the site up and running in its present format. This year saw our biennial herd competition take place. Our judge was Mr Giles Green. Many thanks to him for giving up two days of his time to judge the ten herds that entered. Also, a thank you to Mandy Green for her navigation skills in getting them around some very unfamiliar countryside! Large Herds 1st Peter & Caroline Goldsbrough (Copper Mill). 2nd John, Val & Craig Hollingsworth (Midhope) 3rd David & John Greensit (Goskins). Best Cow and calf 1st Scarthingwell Hannah’s Rapunzel & Scarthingwell Boromir (David & Jayne Pick). 2nd Moorside Katrina’s Tiara & bull calf (Gill & John Smith). 3rd Ainsty Starlight & Ainsty Blaze (Jim & Joan Brindley). Judges special award Beaghall June 2nd (Mike Brears). Overall winner - Gill & John Smith (Moorside) Reserve – Peter & Caroline Goldsbrough (Copper Mill). Congratulations to all the prize winners and thank you to everyone who entered and helped to make this years competition a success. Our herd visit for this year was to the Copper Mill herd owned and run by Peter and Caroline Goldsbrough. On show was their stock bull Milnafua Keystone at the ripe old age of eleven looking as good as ever along with his excellent progeny. The cattle and hospitality were outstanding and coupled with a good turnout of members it ensured for a very enjoyable afternoon. Peter and Caroline’s hard work and commitment was rewarded at the October Stirling Bull Sales where one of their bulls ‘Copper Mill Andrew’ was awarded third in his class later selling for 4,500gns. Also in the honours were John, Val and Craig Hollingsworth with their Dirnanean Snowie sired son ‘Midhope Apache’ who won his class and was sold for 7,500gns. Well done to both herds for flying the flag for the North East Club! This year we have had several new members join us. This is particularly pleasing as new faces and new ideas are always welcome. Finally it just remains for me to thank Committee and club members alike for all their hard work and support throughout the year. Our Club year started with the AGM in March, held as usual at the Leeming Motel. There were no changes to the committee this year but Caroline Goldsbrough stepped down as Club treasurer, a post she has held for many years. On behalf of the Club, I would thank Caroline for the years of hard work she has put in as treasurer and her help in transferring the papers over to Andrew Steele who has kindly taken on the post. The 12th of May saw the sale at Thirsk Mart, which continues to go from strength to strength. This year for the first time we had a show before the sale, with the cattle being judged in their pens. Our judge for the day was Richard Elliott, a commercial beef farmer who is a great supporter of the breed. There was a good entry of cattle from the north-east, particularly from the Tidkin herd of Gerald and Steph Towers and the Beaghall herd of Mike and June Brears. Male Champion was Moorside Voyager from John and Gill Smith and Female Champion was Swaleside Violet from Brian and Anne Wise, with the Overall Championship going to the heifer, Swaleside Violet. Top price was 2250 guineas for Moorside Voltage also from John and Gill Smith, which sold to our Judge Richard Elliott. Top female price went to Mike and June Brears for Beaghall Fiona 2nd, selling for 1650 guineas. The champion Swaleside Violet sold for 1120 guineas to Mr. W.Warren. Congratulations to all who supported and sold cattle on the day and we look forward to another sale next year, which is on May 4th. There is a strong demand for Simmentals in the area, both for pedigree and commercial animals, and as long as we can improve on quality and quantity of animals, then the sale should continue to develop into a major event in the area. Early July saw the last, in its present form anyway, Royal Show where the Club had young members taking part in the Junior Judging competition. The Club member with the highest individual score was Katie Lambert who wins the Henry Pickering memorial trophy. Congratulations to all who took part and we await to see where the competition is to be held in the future. A week later saw us at the Great Yorkshire Show where the Club hosted exhibitors and members in the usual way providing all with drinks and food supplied by Club members. The show is our main event of the year where we can promote the breed and this year was no exception with some very well presented cattle. Our judge on this occasion was Alistair Houston, who had a smallish number of cattle to judge, but it was by no means an easy task with some very good cattle to place. Supreme Champion was Scotland Viper shown by Tom Hill, narrowly beating Sterling Krumpets Roxanne from Boddington Estates. Notable Club successes were Reserve Male Champion, Coppermill Vancouver from Peter and Caroline Goldsbrough, a third place in the young bull class with Moorside Warrior from John and Gill Smith and second place in the cow and calf class with Blakewell Kisses Northern Beauty from Ian and Margaret Steele who also won the Swiss cow bell for the highest placed Club member in the class. Many thanks to all the exhibitors for making the effort to attend, particularly Boddington Estates and the Borlases who travelled a considerable distance to get to the show. Thanks must also go to all the Club members who provided cakes, made sandwiches, and helped to serve them for the three days of the show. The Club members are already looking forward to hosting the National Show here in 2010 and as it is also 40years since the introduction of Simmentals into the country, we feel honoured to be asked to help organise such a prestigious event. 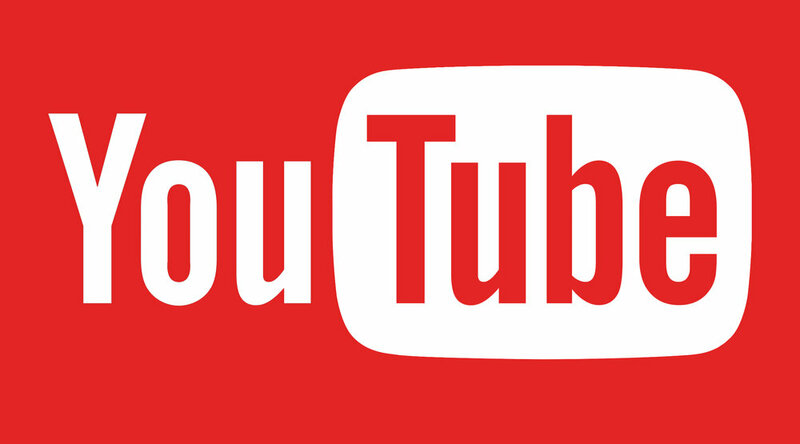 Don’t forget to put the date in your diary – July 13th to 15th 2010! Late September saw some Club members travel to Beeston Auction Mart to the Hockenhull dispersal sale. They travelled down on the Monday and had a look at the cattle before all staying at the hotel before the sale the next day. This was the nearest we got to a Club trip this year. The cattle were everything people expected, and more, and were a credit to Hugo and his family and staff. A few members wanted to buy cattle and tried but most were unsuccessful and came away empty – handed, I know we certainly did. The prices reflected the many years of breeding behind them and on reflection probably were not that expensive, only time will tell. The following weekend the Club, together with the Eastern Club, were invited to visit the Midhope Herd of John, Val and Craig Hollingsworth near Sheffield. We were shown some tremendous cattle, both pedigree and cross – bred, which were a good advert for the breed. Everyone was then treated to wonderful spread of sandwiches and cakes in the marquee, which, by then was welcome as the weather worsened. Our grateful thanks to the family for the considerable time and trouble they went to in organising the visit, and who knows we may take up the offer of a return visit in a few years time. Our final event of the year will be our Club Dinner, held as usual at the Golden Fleece in Thirsk. This is our main social event of the year and, as I write, we are looking forward to seeing friends again for what is a fitting end to the Club year. I would like to take this opportunity to thank Club and Committee members for their involvement in our different events during the past year and let’s hope that we can keep the Club spirit going in 2010. The year began with our AGM in March when I was elected Chairman after having served two years as Vice-Chairman. David Burkill stepped down as Chairman after his two years in office and I must thank him for all his hard work during his term of office. In early April the club had a visit to the Tidkin herd of Gerald and Stephanie Towers. We were shown a fine display of cattle and a scanning demonstration, which some of us found interesting, as we had not seen it before. A stock judging competition followed, with Brian Lundy as our Master Judge. A very enjoyable afternoon was rounded off with refreshments and drinks and a huge thank you must go to Gerald and Stephanie for all they did in producing a very entertaining visit. Exactly a week later saw some Club Members visiting the Caistor herd of Brian Lundy in conjunction with the Eastern Club. Although the day was very cold and dull we soon forgot about the weather once we started round the cattle. Brian explained his breeding policies and his reasons for using German and Danish bulls. The cattle were different to what most of us were used to, but nonetheless we all found it very interesting. Had it not been for the cold wind we would have spent much longer viewing the cattle, but we all went inside out of the cold, where we were all treated to a wonderful barbeque and welcome hot drinks. Again, many thanks to Brian, his wife Margaret, and their team of helpers who looked after us all very well. Early May saw the Thirsk sale, where although entries were very low due to Bluetongue restrictions and the Newark sale, prices were better than anticipated and a good clearance rate resulted. Congratulations to David Burkill for getting the highest price on the day with his bull, Beechtree Turbo, which made 2550 gns. There were many prospective buyers who went home with empty trailers, so please support this sale as the demand is certainly there! The Best Overall Herd and winner of the Farmway trophy was I & M Steele (Blakewell) and the Reserve and Winner of the North East Simmental Rose bowl was D & J Pick (Scarthingwell). Once the Thirsk sale was over, Club members turned their attention to our Club event at Thirsk Rural Business Centre for the forthcoming World Congress, where preparations were entering their final phase. After a long time spent planning and fund raising it was hard to believe that the day was almost upon us. As time drew on things were getting hectic, but thanks to the Club member’s thorough planning and hard work we never felt as though we were losing the battle. Sunday and Monday saw cattle arriving at the mart and exhibitor’s stands starting to take shape. By late Monday evening everyone was exhausted but all was done and looked just perfect. Early Tuesday morning saw last minute preparations and a last minute sweep up before the delegates arrived. As Chairman, it was my job to greet the delegates and I must admit that whilst waiting for the coaches to arrive, more than a little trepidation was starting to set in. Then, the first coach appeared and it was too late to worry about anything else. As the coaches started to unload the smiling faces of the delegates allayed any fears, I knew we were in for a good day. Once the formalities were over the delegates started to look round the display of cattle and trade stands. They also had the opportunity to visit the nearby James Herriot Museum with Club members Anne Wise, Jane, Fran, & Sarah Pick acting as guides. Lunch went ahead very smoothly and, after another look round it was soon time for goodbyes and before we knew it the delegates were leaving. Some members were unable to bring cattle due to Bluetongue restrictions but many brought static displays for the delegates to see and this added to the variety of the displays. The support from the exhibitors was commendable and overall they put on a fantastic display of pedigree and crossbred cattle, which was a credit to them. The delegates certainly seemed to enjoy themselves, talking to the exhibitors, and the whole atmosphere was very relaxed. Unfortunately due to the unusually fine weather we were disappointed with the number of local farmers who came but I later found out they were busy catching up with silage and hay after the poor weather. Thanks go to everyone who exhibited and helped on the day to make it one of the highlights in the clubs history. Special thanks go to David Burkill, Jim Brindley and Andrew Steele who were on the organising sub-committee, Caroline Goldsbrough for the beautiful flower displays and the exhibitors who, in some cases travelled considerable distances with their cattle. We are indebted to the directors and staff of the auction mart for allowing us to use the building and our sponsors for the event, particularly Green Farm Health Ltd and Ritchey PLC, who were our main sponsors on the day. Thanks also to Carol Johnston and her team at the Gavel Café for the lunch and refreshments, and by no means least, to Gerald Towers who was our photographer for the day. We all had a wonderful day and it was very rewarding to see so many Club members with smiles on their faces, who obviously enjoyed talking to all the different people. Congratulations go to Peter and Caroline Goldsbrough who won the Society goblets for the best exhibit, judged by the delegates. At the Royal Show the Club was represented in the Junior Judging competition and the winner of the Henry Pickering Memorial Trophy for the best individual score was Sarah Pick. July saw Club members at the Yorkshire Show with many helping on the Club stand as well as exhibiting cattle. Many thanks to all who provided refreshments and helped during the Show, as everyone who visited the stand appreciated it. Club members put on a good show of cattle and many received rosettes as a reward for their hard work. This summer saw our biennial herd competition and this time Rob Fitton accepted the invitation to Judge the herds. He spent two days touring the area looking at cattle and the results of his deliberations are shown in the panel on page 81. During the summer month’s members were out at the shows with their cattle promoting the breed. Fortunately the shows were not affected too much by the weather and members put on a good show of cattle. The Dalgety Trophy for the most points obtained at local shows was awarded to Gill and John Smith (Moorside herd). The past year has seen a great deal happening for the Club and it has been great to see members pulling together to promote the breed, and most of all, enjoying themselves in the process. I hope the club can build on the past years success and look forward to 2009 when we can continue to develop the Simmental Breed even further on the North East. On a final note, I would like to confirm, I have been duly elected onto the Council of the Society and if any members would like me to discuss anything on their behalf, please do not hesitate to contact me. The clubs year started in March with the AGM which saw very little changes to the club officials. It was a good meeting with plenty of ideas for further club events, although it was poorly attended. North East members did well at Carlisle in April, Ian and Margaret Steele winning a class with their bull Blakewell Schubert who later sold for 2300gns. They also won the Female and Reserve Overall Championship with their heifer, Blakewell Mischief’s Rosette, which later sold for 1500gns. John and Gill Smith won the Reserve Female Championship with their heifer Moorside Roseanne, which later sold for 1700gns. The sale at Thirsk in May saw a very mixed trade. Ian and Margaret Steele topped the sale with their heifer Blakewell Gentians Snowdrop at 1550gns. This year the sale did not coincide with the store sale and there was a lack of commercial buyers in attendance. In June the club visited the Goskins herd of the Greensit family, here the members had the opportunity to view a very high quality pure bred commercial herd. The field of cows and calves really were something to see, these well fleshed and large cows were very quiet and really were a credit to the Greensit family on the day. The crop of calves were obviously being done very well and looked a picture. The herd’s stock bull Hazeldon Promise looked very impressive and behaved very well as we walked through. Afterwards the club enjoyed a barbecue in the garden overlooking the cattle on a nice sunny day it was hard to imagine what was on the way. Some club members made the annual visit to Ripon races the week after. The report I got back was the picnic was good, no mention of horses. After the rain at the end of June the shows started. At the Royal Show the club were represented in the junior judging by Katie and Robert Lambert, with Katie winning The Henry Pickering Memorial Trophy for the highest placed club member. The Yorkshire Show the week after saw better weather and another record attendance. The Simmental classes were good with Jimmy and Vicki Wood taking the Yorkshire Show Championship to Lancashire. Club member Gill Smith had a good day taking both heifer classes; Moorside Lorna’s Snow Queen won the senior and her sister Moorside Lorna’s Treasure the junior. Thank you to all the club members who brought refreshments and helped in the box, it was well received by all who were at the show. Driffield was the only other show in our area to survive the weather with Gill Smith winning with Moorside Lorna’s Snow Queen; the reserve was won by Ian and Margaret Steele with Blakewell Kisses Sweetheart. Everything then came to a halt with the Foot and Mouth scare until September when club visited the Moorside Herd of Gill and John Smith. The herd was the overall winners in the clubs herd competition last year and have been shown very successfully around the country. The club were treated to a wonderful show of cattle and the weather was kind. The young cattle really showed themselves a good field of heifers were followed by a yard of strong bulls ready for the sales. The two show heifers looking as well as ever in their paddock ended the walk, before a barbecue finished the day nicely. The clubs last outing of the year was a joint herd visit to the Scathingwell herd of David and Jayne Pick and the Beaghall herd of Mike and June Brears. The members had a very interesting day and saw some very good cattle at both herds on a warm sunny day. The clubs dinner is to be held in November at The Golden Fleece at Thirsk with Fiona Sloan as guest speaker. The club are also working towards an exhibition of Simmental cattle for the World Congress next year. This event is to take place on the 24th June at Thirsk Rural Business Centre, and will give breeders the opportunity to display their cattle to the delegates as well commercial breeders from the area. This event is intended for both pedigree and commercial cattle and will hopefully help to raise the profile of Simmental cattle in the area. At the time of writing the club is looking forward to the Annual Dinner to be held at the Golden Fleece, Thirsk on the 25th November. The dinner is one of the highlights of the year for the club and is dominated by the presentation of awards competed for throughout the year. August saw the judging of our biennial Herd Competition. Mrs Margaret Addison did us the honour of judging the 9 herds that entered the competition and has kindly accepted our invitation to join us at the dinner to present the prizes. A special thank you must also go to Chris Addison for ably and efficiently chauffeuring our judge around some very unfamiliar countryside! Judges own award; D & C Lambert (Rainbow) for Moorside Loretta’s Taffeta. The Henry Pickering Memorial trophy for the highest placed young member in the junior judging competition at this year’s Royal Show goes to Katie Lambert. The Dalgety show trophy for the herd gaining most points at local shows will be awarded to John and Gill Smith ‘Moorside Herd’. The beginning of the year saw the passing of a founder member of the North East Simmental Club and one of the original importers of Simmental Cattle, Mr Will Oates (Ravensworth) at the age of 94. He was a true cattleman who will be sadly missed. In February the club was invited to take part in the Interbreed Quiz at the Fox and Hounds, Langthorpe by kind invitation of the Limousin Club. Our team for the evening was David & Jayne Pick, Brian & Anne Wise and Jim Brindley. We certainly did the club proud coming a very close second to the Charolais Club. As usual it was a very enjoyable social evening. The club’s AGM was held on Wednesday 15th March with the Society’s Breed Development & Promotions Manager, Fiona Sloan in attendance. The main change for the club was Jim Brindley stepping down as Chairman with David Burkill taking over the reins. Thanks must go to Jim for all his work over the last 2 years. Carlisle show & sale in April saw NE member Mr Andrews, Holt Farm, Holmfirth take Supreme Championship with his in-calf heifer ‘Holtstead Lydia’ later selling her for 2,000gns. In May the club held its inaugural sale at Thirsk in conjunction with Thirsk Auction Market. A special thank you must go to Brian and Anne Wise who were instrumental in organising the Sale at such short notice. A packed sale ring saw 100% clearance of stock. The days top price of 1,500gns went to Eastern Club Chairman Jack Wilkins for his 2002 homebred cow ‘Ulceby Nellie’ with her bull calf at foot. The purchaser being North East Club member Mr Leach, Ringstone Royd Farm, Halifax. Thanks to vendors and purchasers alike it turned out to be a very successful sale. See you all next year when the brand new market will be up and running. The new Market, renamed Thirsk Rural Business Centre, will be the venue for the World Congress visit on 24th June 2008 when members will have the opportunity to display their cattle to the delegates. In June we were blessed with glorious evening sunshine for our annual pilgrimage to Ripon Racecourse. All those attending took a picnic and it was a really enjoyable, but unfortunately unprofitable evening! On 25th June the North East and the Eastern club were invited to view David Burkill’s Beechtree Herd of Simmental and Charolais cattle, again we were lucky with the weather and the clubs were treated to a lovely show of cattle. It was very pleasing that the afternoon was well supported by our members. Afterwards there was a ‘bring & share’ BBQ which was enjoyed sat in the garden. July saw the Junior Judging at the Royal Show. Our team for this year was Robert and Katie Lambert - well done to you both for having a good try. Club member Gill Smith also had a very memorable Royal. She was competing for the first time and not only gained 1st prize with her 2005 homebred heifer ‘Moorside Lorna’s Snowqueen’, but was later awarded Junior Champion - what an achievement! The Yorkshire show followed the week after the Royal. It was a record attendance at the show and although exhibitors were down from previous years, the quality remained high. Thanks must go to all exhibitors who travelled great distances to the show and to all NE members who supported the show either through showing or providing refreshments for the box. Your help does not go unnoticed. Perth in October saw two of our Club Officers attain success with their cattle. 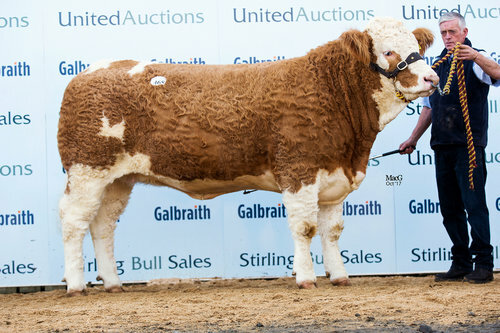 Chairman David Burkill exhibited his bull ‘Beechtree Simon’. He came 2nd in his class and later sold for 5000gns. Treasurer Caroline Goldsbrough and husband Peter saw their heifers ‘Copper Mill Laura’s Sixpence’ sell for 2600gns and 1800gns respectively. Congratulations, it’s encouraging to see North East Members doing so well up at Perth. Finally, I would like to thank all Committee and Club Members for their help and support throughout the year and wish everyone a happy and successful year ahead. by Jim Brindley The North East Club, this year, has enjoyed a varied programme, although the attendance has been rather disappointing. The year began with the Interbreed Quiz at Langthorpe by kind invitation of the Charolais Club. The N.E. Club team came a creditable 3rd. Well done to the winners, the Limousin team. Our A.G.M. was held in March and was well attended. Chris Martindale kindly visited the club to update us on events at Stoneleigh and the Society’s vision for the future. The Club officers remained unchanged. In May, the Club had a very enjoyable visit to Paull, Judy and Bridget Borlase at Sacombe Hill, along with the Eastern Club. The quality of the cattle was rivalled only by the food that was provided for us. Our thanks go out again to the whole family for making it a most enjoyable and informative day to be remembered for some time. A glorious evening was spent in June at Ripon Races. It was a fun social event with several members trying to beat the bookies. We all failed but had a lot of laughs along the way. The Junior Judging at the Royal Show in July was supported by two of our Junior Members, Robert and Katie Lambert, well done to you both. The Club tried this year to offer Judging Workshops to our Junior Members. Only one actually took place but, hopefully, this will continue in future years. The Great Yorkshire Show was next on our calendar. The weather was fantastic and the cattle were just as hot. With the Royal Show Champion and the Reserve Champion in attendance it doesn’t get much better than that. Thank you to everyone who made the show what it was and all the exhibitors who travelled from near and far. Many thanks, also, to all who kindly provided cakes and sandwiches for the show box, they were extremely well received and went down a treat! Our Annual Dinner will be held on the 26th November at the Golden Fleece, Thirsk. Author and Limerick writer, Mary Wood, will be our Guest Speaker for the evening. This always proves to be a well attended finale to the year. At the dinner the goblets will be presented to the owners of the highest placed young heifer and bull exhibited by a N.E.Member at the Great Yorkshire Show. Mike Brears (Beaghall), will be collecting the young bull goblet and David Pick (Scarthingwell) will receive a goblet for the young heifer class. Once again the Henry Pickering Memorial Trophy will be collected by Robert Lambert for gaining the most points by a N.E.Member in the Junior Judging at the Royal Show. John and Gill Smith (Moorside) again win the Dalgety Show Trophy for accumulating the most points at local shows. Many congratulations to all our winners.